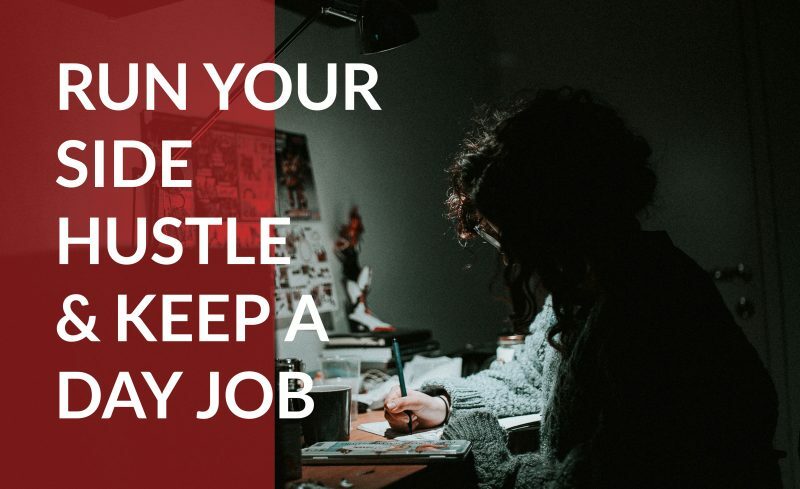 Somewhere in between all that work and traffic, you need to turn your side hustle into a full time gig–without falling asleep at your desk. You don’t need to turn into a vampire, stay up all night, and put in a full eight hours of work just to get your side hustle off the ground. Instead, design your new business around simple goals, commit to a strict schedule, and then find the hidden pockets of time that let you get it done. If you want your work to be fueled by passion, and live a life where the traffic you worry about is the traffic heading to your website, then it’s time to plan your way to success. If the biggest roadblock to side hustle success is your lack of time, then it’s time to step out of the way. With a little work up front, a website can expand your brand, attract new clients or customers, and grow revenue, all while you’re busy at your day job. Narrow down the focus of your target audience as tightly as possible, and design a brand that resonates with those customers. Register a domain name that stands out so it can be remembered, and easily found in an online search. Then design your website so it tells visitors what your business is about, and pushes them to a single goal: becoming a valued customer. Even with the perfect domain and website design, you’re still going to need to work–hard, and often. You have two options: spread a thin level of focus across many projects and get a little work done on each, or block out time to focus deeply on one task at a time. Just a hint, with the first option, the anxiety about not getting enough done wears you out faster than the work itself. Instead, lock yourself to a strict schedule that maximizes the time. Find two hours each day, and commit to working on your side hustle. During that time, avoid social media, texting, or unnecessary emails–it’s radio silence unless it’s for your business. If all you can spare is an hour, that’s fine too. It’s not about how much you can get done in a single sitting, but rather, an accumulation of dedication. Keep working, every night, and those two measly hours start to add up. When you’re lying in bed or sitting on the couch, your brain turns into a wizard of persuasion, feeding you reason after reason to slack. Yes, you’re busy. Still, there’s plenty of time in your day to carve out a spot for your side hustle, as long as you’re willing to sacrifice, just a little. Inside the busy schedule in the first line of this post, those TV time slots can be replaced with your side hustle. Binge-watching is great, and you won’t be able to talk about recent episodes with your coworkers, but the side hustle is more important. While you’re stuck in traffic, take phone calls and network with new business partners or brands. If you think you can’t move forward because of lack of money, do everything else you can, over prepare, and then start shopping your idea around to potential partners. What are you willing to give to your side hustle? The most successful people all say the same thing about what it takes to succeed: focus. If you give all your extra focus to your side hustle, whenever you’re not working your day job, your business starts to take shape. The same rule of focus is the reason a strict schedule is better than spreading your attention across multiple tasks. During the reserved side hustle time, you achieve the level of deep concentration required to give the task your all. If you give everything during that time, and stay consistent with your schedule, your hard work can pay off. It’s your life, and your busy schedule, so why not shape each day into one that leads to success. You’re exhausted now, but a tight schedule can help relieve the mental strain wearing you down. With a dedicated plan that lets you work passionately at your side hustle, perform at your day job, and finally get some sleep, you have all you need to succeed. It all starts with a great domain. Find one for your side hustle at Domain.com.